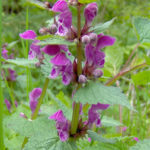 Lamium maculatum is a prostrate, spreading herbaceous perennial up to 2.6 feet (80 cm) tall. 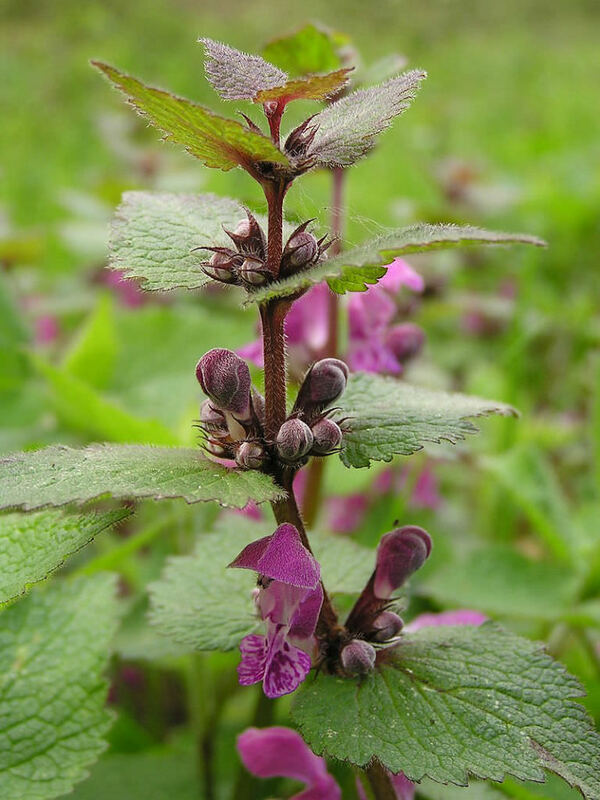 It has erect, hollow and pubescent stems, branched at the base only. The soft hairy leaf blades are up to 8 inches (20 cm) long. They are spotted (hence the Latin name “maculatum”), toothed with long petioles, up to 1.6 inches (4 cm) long. Their shape varies from ovate-triangular to heart-shaped. The inflorescence bears about 2 to 8 hermaphrodite flowers up to 1.2 inches (3 cm) long. They are formed in the leaf axils of the upper leaf pairs. 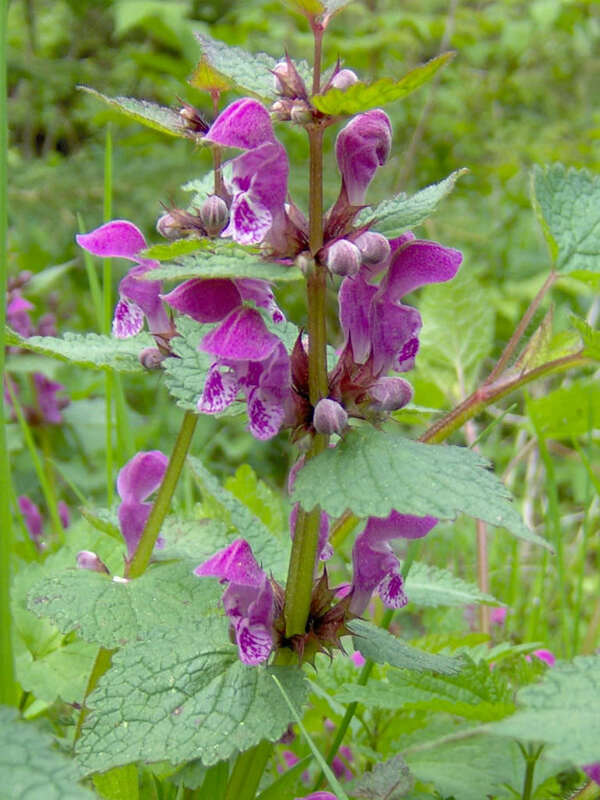 The upper lips of the flowers are helmet-shaped, usually pink or purplish, while the bilobate lower ones are whitish with purple dots. The stamens are located in the upper lip and have orange pollen. The flowering period extends from April through November. 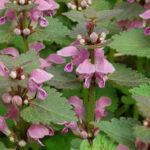 Lamium is undemanding and easy to grow in partial to fully shaded locations. 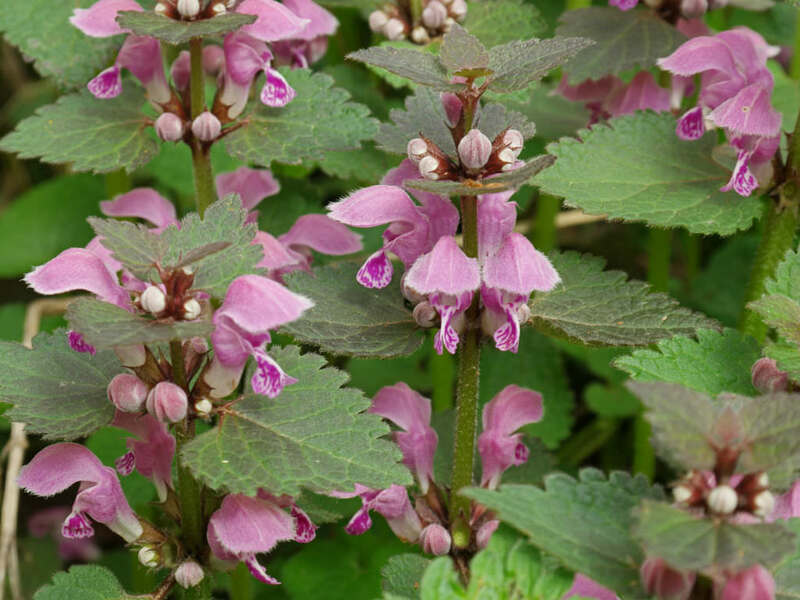 It prefers well-drained soil but will do fine in dry shade if you provide it with regular watering. 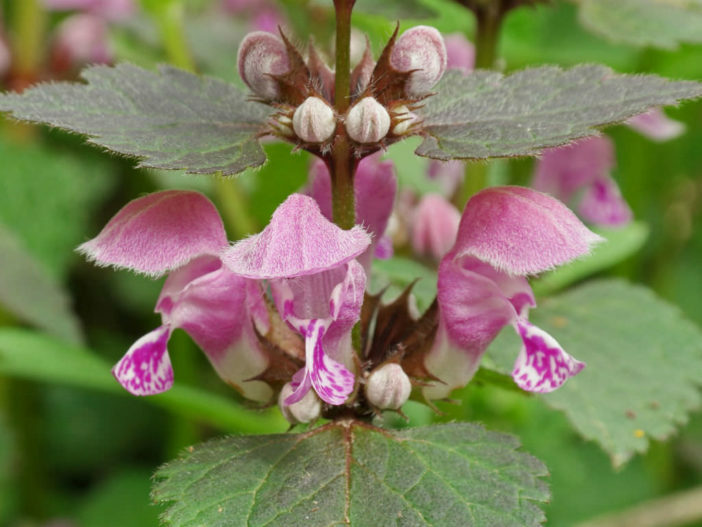 A member of the mint family, Lamium spreads quickly, is self-seeding, and will rapidly create a groundcover wherever it is planted. 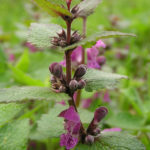 Its brittle, fragile stems help keep it from becoming aggressively invasive and also allow bulbs and other perennials to penetrate its foliage.